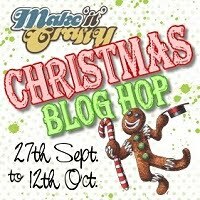 Birthday Blog Hop with a Christmas theme!!! The Design Team wanted to celebrate Zoe's Birthday in style so there's lots of inspiration, prizes, freebies and even a gallery album for you to post your own birthday greetings to our Zoe. This is one hop you don't want to miss! Zoe has some fabulous new Christmas images that were released today and we've been working really hard to produce some amazing cards to show them off! You'll have two weeks to leave a comment on this blog post and I'll be posting my lucky winner here on Friday, 14th October. Oops, nearly forgot....................we've got yet another surprise for you!! We contacted one of Zoe's artists (S.H) and she's very kindly drawn us this gorgeous party girl for the occasion - how cool is that! We wanted to make sure that everyone was included in our celebration so we're giving her away as a FREEBIE to everyone who wants to join in with our celebrations!!! All you need to do is create a new project using a Make it Crafty image or chippies and upload it into the Gallery HERE by 12th October. Then email Barbara here with a link to your project to claim her! So are you ready for some Christmas inspiration? Well you've come to the right place as I'm your first stop, oh yeah! For me this is a double celebration! will be celebrating it's 1st Birthday on 4th October!!! you have until 12th October! Oh Jane this is just FABULOUS! Your colouring ALWAYS amazes me and your sentiment is tooo funny - perfect for these guys! Wow this is absolutely amazing! Your colouring is .... well ...... WOW! Happy Birthday to you also! You must be proud of your blog as it is just beautiful. Thankyou so much for sharing your creations. What a fab image - you've done an amazing job with it! Amazing Jane, I love how you coloured that image and the sentiment is just perfect! I love your card, Jane. It is gorgeous! I love how your grey cardstock makes me focus on the image, which is fabolous colored! You have a awesome blog, i'm a follower now! Oh, thats such an amazing card. Jane, your coloring is just...JAW DROPPING....I could stare at it all day. You inspire me GF! What a fab image! Your colouring is amazing. Congratulations on your 1st year of blogging. Beautiful beautiful coloring. I always admire the depth and dimension you're able to create with your images! Wow! Your coloring is to be admired and envied!! Beautiful card and a great spotlight on the awesome main image! Very cute card! Happy birthday to Zoe! WOW what a gorgeous card! Your coloring is wonderful! Thank you for a great opportunity to win your blog candy! Your card is fabulous! I love the coloring and that image is too funny! Oh wow they look brilliant, amazing colouring. Happy Blogaversary to you too! In love with the grey background and I will definatly have to have this digi. So cute. Jane your card is so cute. These two are so mischievous! Love the design paper you used. Jane your card looks wonderful and would love a change of winning your blog candy. Know I'd have no problem using. ohhh wow Jane, such a cool card, the new images are awesome. great idea for a hop. Love your card, but I do love all of them anyway! Very excited to do this hop and congratulations on your blog's birthday!!! Keep up the good work! This little elves are so fun. They just are all up to something. Very cute card. love your card it just to fabulous. Elf delivery system is absolutely hilarious! Happy Birthday to Zoe and to Box of Colours!! This is my first visit to your site but not the last. You are so very talented !! Your card made me smile - as I was thinking that could be me on the rocket! Your coloring is awesome and I loved the image - you just brought it to life. And, Happy first birthday on your blog. Wowwww Jane, your coloring is ABSOLUTELY AMAZING!!!!!! Awesome card Jane, your coloring is gorgeous!!! This is just awesome. Love the coloring and the sentiment is just perfect. Wow, what a fun card. I love this image. TFS. lol this is a wonderful - love the coloring and soft background and how the stiching framed it all so perfect. OMGosh, I love it!! Totally made me think of my hubby, he's the mischevious type,lol Thanks for the laugh, well done, and thanks for the chance at some candy too! What a delightful elf image! Makes me think of my 4 brothers and all the mischief when we were little. Thank you for the smile and a chance at the wonderful candy giveaway! Happy 1st Blog Birthday! I love your card! Love how you made the image pop with your design and love your gorgeous coloring of that fun image! Happy aniversary to your blog! Looking forward to see the rest of the hop! Your card is hilarious and totally fun!! 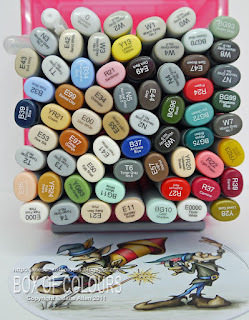 Love the layout and you have mad skills with a Copic marker. A great way to start the hop. TFS!! Congrats with your both birthday's. You have a very nice blog. and you colour wonderfull. What a terrific and image it made me chuckle. Love it! What a wonderful blog hop to celebrate Zoe's B/day and candy too. Fantastic card, Jane! I love the colored image with the gray papers. WOW Jane this is MARVELOUS!!!! Love the gradients of color and the Mic Slider chippie is awesome!!! Gorgeous card dear!! Thanks for chance at gifts!! Oh wowsers what a fabulous start to the hop. You card and colouring is amazing Jane and that sentiment is soooo perfect!!! Happy Birthday again to Zoe..
That is a great card you made. The coloring is amazing. Great design team. You guys rock with the copics. I've been watching, stalking and learning. Hope to be as good as you guys with markes. Thank you for sharing with us all and thanks for chance to win some goodies. and good luck to everyone who enters. 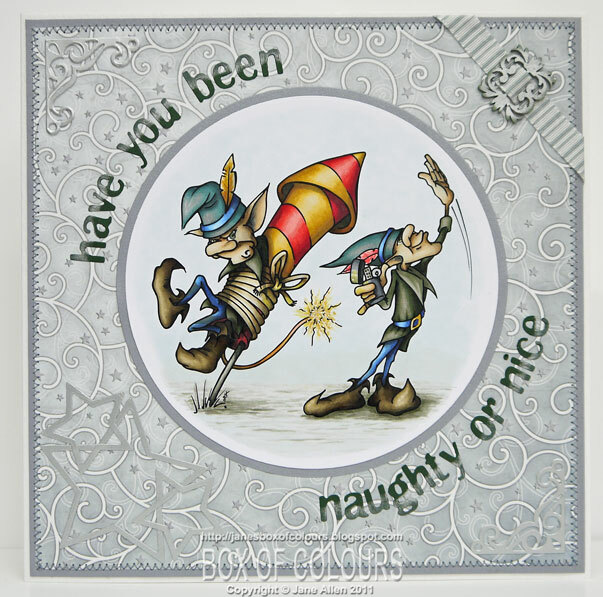 Gorgeous card and fab colouring..
oh wow, what cheeky chappies they are, love this card, fabulous colouring! Dear me I had so much planned for today finishing the dog costumes I am making for my friends upcoming doggy day lol. Why are you all so very talented. 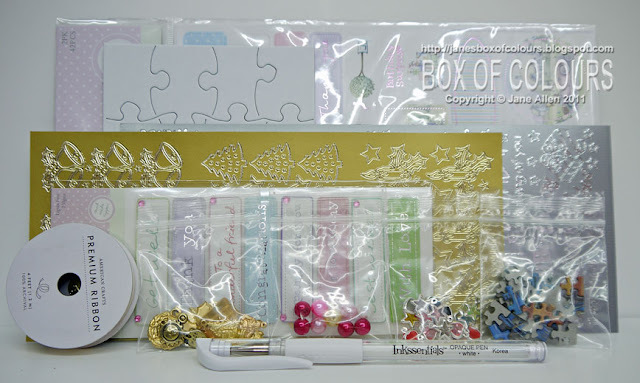 I am now totally sidetracked and jumping from one blog to another looking at all the wonderful cards and images. What a great card, Love that image. Oh Wow! Your card is mind boggling! Love it and thanks for the hop! Oh my what incredible coloring! All the details, the stars,stitching, ribbon slide, corners all just flow, but direct the eye to the image and colors! WOW!!!! Jane I love your card and the blog candy. This is absolutely gorgeous Jane! Your colouring is to die for! Love that your image is the whole focus of the card! What a beautiful card you made. 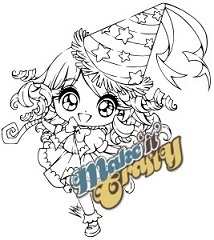 Cute funny and very beautiful colored stamp. What an awesome elf card, It fun, and your coloring on it is just wow!! You have done a wonderful job! Tks for playing in the blog hop and offering blog candy yum yum! Aren't they naughty! As usual your colouring is a lesson for us all. I like the use of the fancy slider on the ribbon too, something else for my MiC shopping list. Congratulations on your blogaversary too. congrats on your 1 year anniversary! and what a beautiful card you have made. your coloring is stunning and that image is so much fun. I LOVE this!!!! Not only is your coloring amazing but this image is SUPER cute!!!! OMG....I love this. WOW! Awesome coloring on your card, it's FAB! Great blog hop too! Your card is so pretty! The coloring is awesome! Jane, your coloring is nothing but AMAZING! WOW! And what a delightful holiday image! I love the grey background with the coloured image in the centre. The coloured image really stands out. Aren't the new images fantastic? I can't believe how many colours you have used in the image! Maybe thats why my colouring doesn't look quite as realistic as yours...I don't use enough colours. Thanks for sharing your gorgeous card. LOL! This is so cute!!! Hi Jane....such a lovely card design! Your colouring is fantastic, and working the sentiment around the image is perfect. What a great card and your coloring is wonderful!! Thanks for the opp at the great candy also. I love your card!! Your colouring is fantastic!! Thanks for the chance to win! Jane I love your sence of fun when creating your cards. They never failed to put a smile on my face. Blog candy what a great idea.. has it been a year already. Of course you know the real candy on the blog are you cards!! Very pretty card I love it ! Wowwwwwwwwwwww!!! This a fantastic card. I just loved it. I had to buy it for myself to try. I have just started bloging. As i love to create. What inspiration. What an Awesome card - nice and cheeky!! What a great start to the blog hop!!! Love these image it is so much fun. Fantastic sample and a big happy birthday for you for tomorrow aswell. Happy Birthday!!! Your coloring is amazing. I wish I had half your talent. Thanks for sharing your projects with all of us. Oh WOW, the artwork is AMAZING! I just found your blog/site and I just LOVE all the work of such wonderfully talented artists. Everyone's work is so inspiring. Love this card. The image is too cute. Love these guys. The papers you chose are perfect for this. Yummy coloring as always. Hi, wow love the card and the amazing colouring, brilliant, love Carole S.
Happy Birthday to Zoe and your blog. WoW Totally stunning, I love your work, that ribbon slider is gorgeous too must pop one of those in my bag. Hi Jane, Your coloring is amazing and these gorgeous little Elves look naughty! Your card is beautiful! Oh my goodness so much going on. Happy Blog-a-Birthday to you Both! !